This is the first time I write a book review. At the beginning of the year I realised that I have completely gotten out of the habit of reading books. I used to read all the time, and - if I had found a book that really grabbed me - could be spotted reading whilst knitting or even cooking. So why have I stopped? I expect lack of time has something to do with it. But mostly I blame social media. So I decided to make it a daily practice to set time aside for reading. 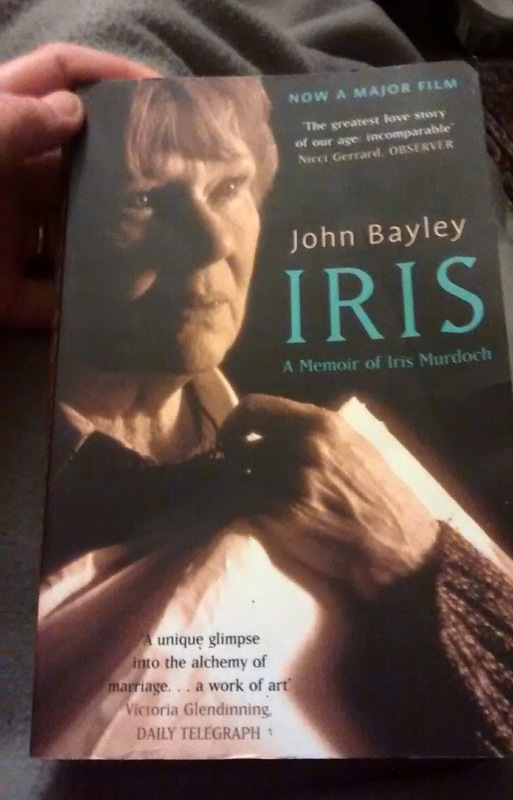 The first book I picked up was "Iris", an biography about Dame Iris Murdock by her husband John Bayley. I vaguely remember watching the film with Judi Dench, Jim Broadbent and Kate Winslet, and quite enjoying it. It took me a while to get into the book, perhaps because I am out of the habit. I came close to giving up, but persevered, perhaps because I didn't want to give up my new reading venture yet. Perhaps the truth is that I like to find at least one character in a novel I can identify and journey with. I found no such character in "Iris". This somewhat eccentric couple of academics in the literary world of 1950s Oxford seemed really quite alien and far removed. More interesting to me was how Iris changed with her advancing Alzheimers. Perhaps all the more because she had been such a brilliant mind. I'm not sure if I would recommend the book, but perhaps I should try reading one of Iris' many novels one day? "Why do you believe [in God]?"